Corfu, a very popular place to spend the holidays amongst us Europeans – and rightly so! Beautiful beaches, clear water and some great people bringing Greek feeling along makes this island unique! Not only the island is astonishing but the airport also! 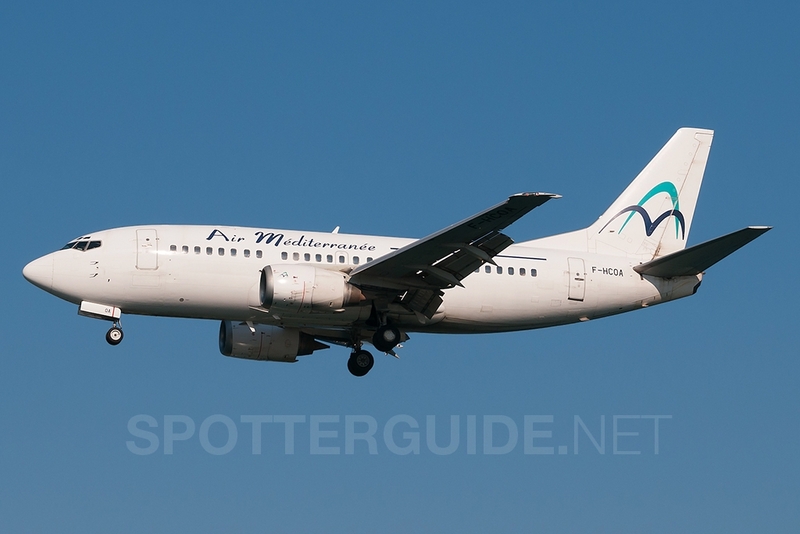 Corfu’s airport is very exciting, with only one short runway, the airport has to cope in peak times, while widebodies and holiday charters float in one by one! 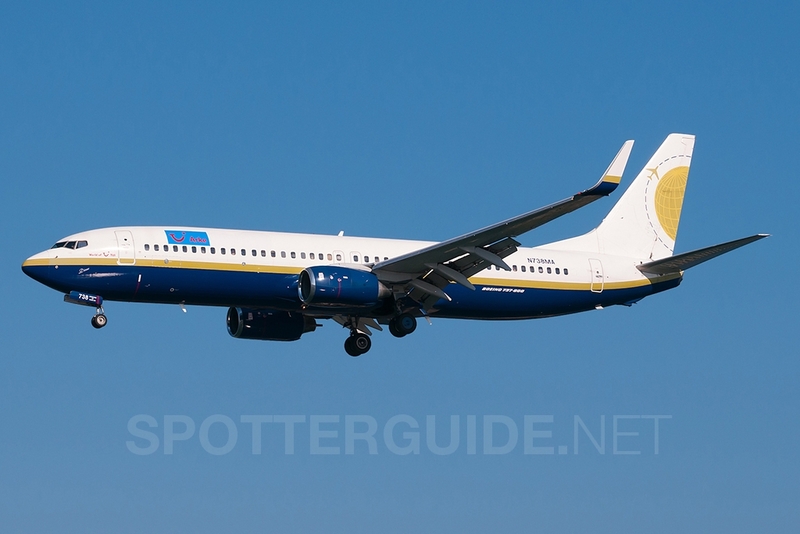 The airport is mainly served in the summer by holiday airlines i.e. 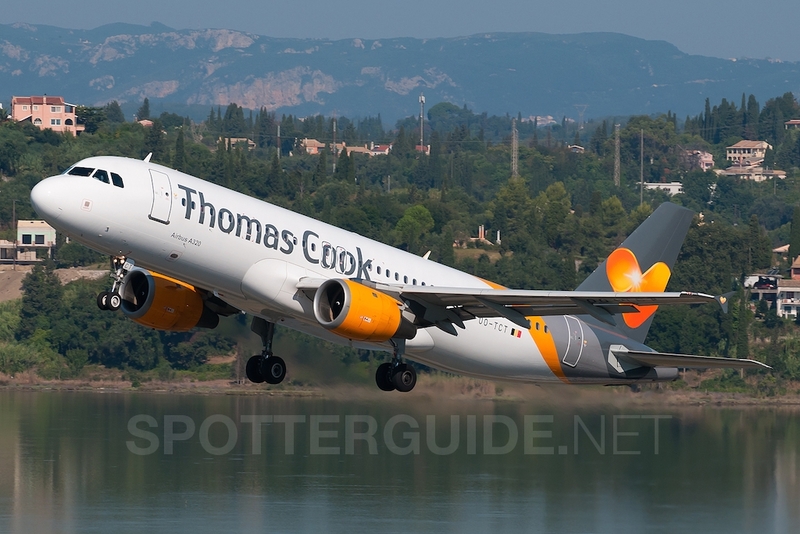 from Germany (TUIfly, airberlin, Condor), Russia (Nordstar, Orenair, UTAir, Yakutia), The Netherlands (ArkeFly, Transavia), Belgium (Jetairfly and Thomas Cook), France (Air Méditerranée, Europe Airpost, XL Airways France), and of course – The UK (Thomson, Thomas Cook, Ryanair, easyJet). 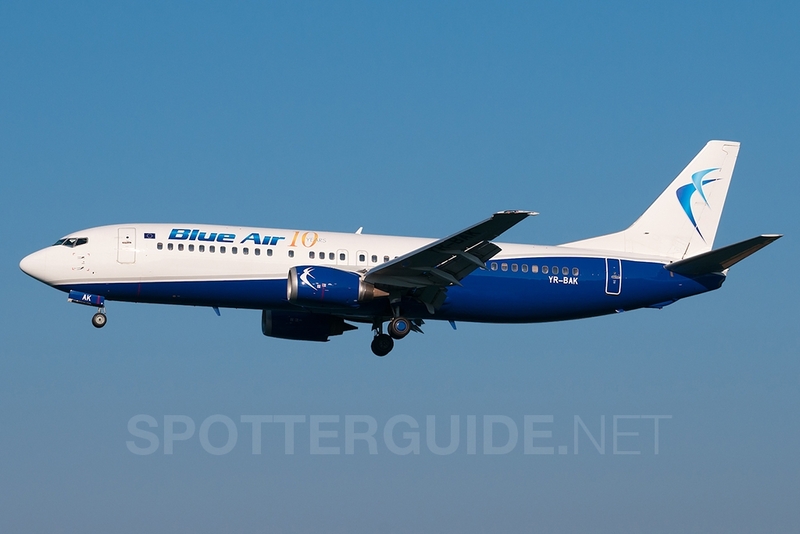 But there is some domestic traffic, too – Olympic Airlines and Aegean operate from the Greek capital Athens as well as Thessaloniki and Santorini. 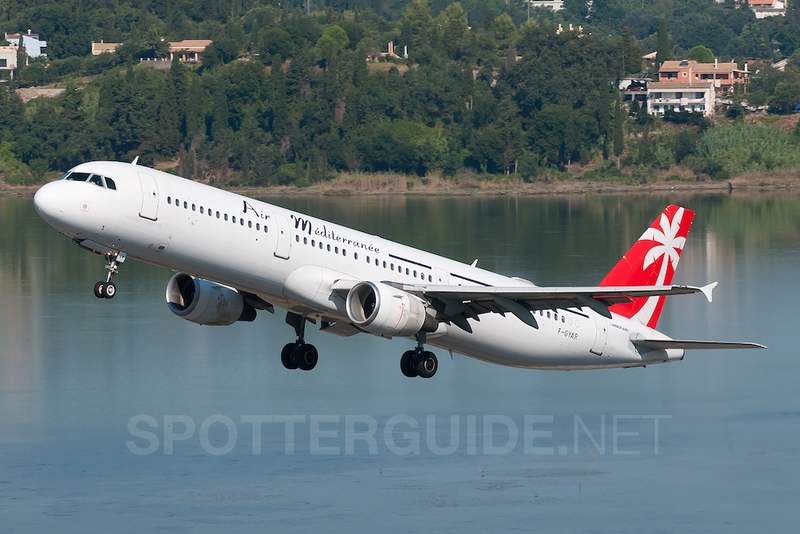 SkyExpress and ASTRA Airlines are also coming along from the main country and the neighbouring islands. 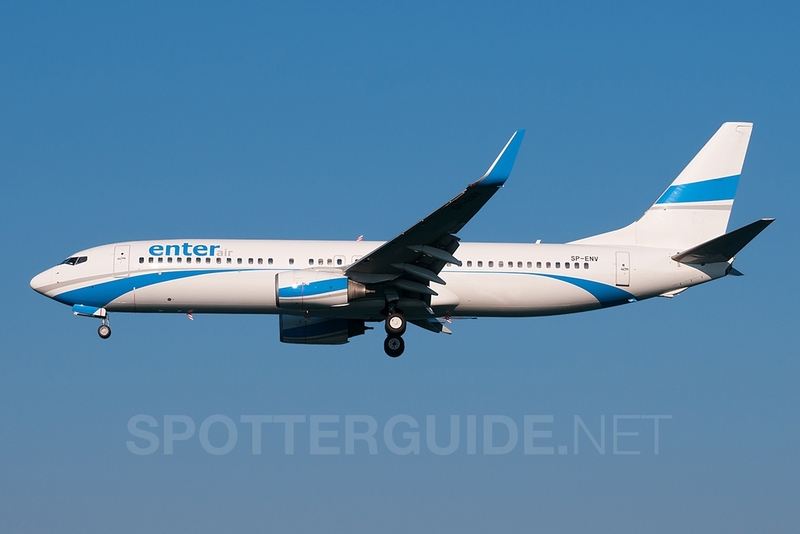 Ellinair, another greek carrier, operates flights to different eastern countries. The best hours to spot in CFU are from morning until midday when most action takes place. In the afternoon its more quiet and the movements starts to raise in the evening again. The airport is open 24h so you will miss some traffic. You can find a detailed schedule at the official airport website. Car Not required if you stay at one of the hotels. By public transport from Kerkyra (Corfu City) bus line 2 brings you directly to Kanoni Hill. Restrooms In every publicly accessable building like restaurants or hotels. Hotels We highly recommend the Royal Boutique Hotel (Spot1) as it has the best views. Many other hotels are in the area. 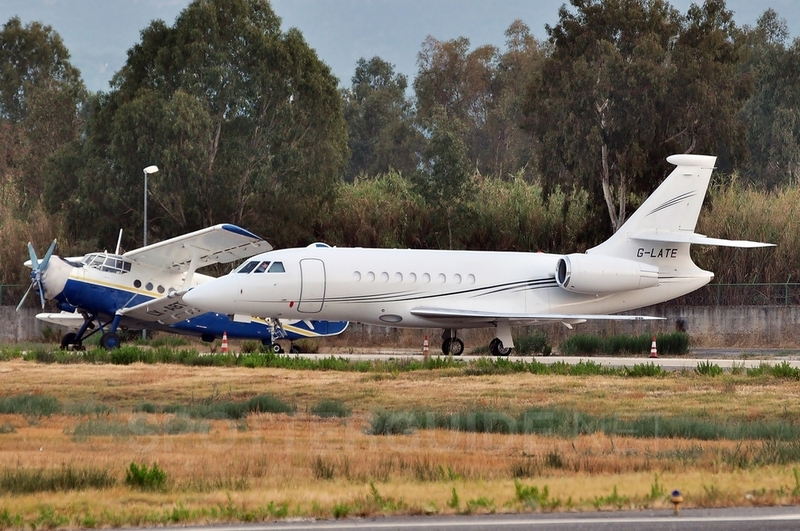 Season Corfu Airport is busiest during the summer season as many vacationers spend their holiday on the Greek island. Temperatures are expected to climb up to over 30 degress Celsius during the summer month. Heat haze is rather no problem at Corfu Airport. Winter is pretty quiet and almost no traffic. Runway Usage 17/35 Used in all directions. Most popular direction for arrivals is 35. Arrivals on 17 are very very rare due to the moved threshold and the shorter runway. Departures are 50:50 in both directions. WHERE The Royal Bouthique Hotel is by far the best spotting location in Corfu as its on your own, private balcony with a stunning view over the runway 35. The best rooms are on the 4th floor number 404,405,406, 414,415. The third floor should be also fine. The Café Royal is just on the opposite and belongs to the hotel (10 percent discount for hotel guests in advance of your order). You can even shot some aircrafts from the pool area but a small, pink appartment building blocks the sight a little bit on some angles. 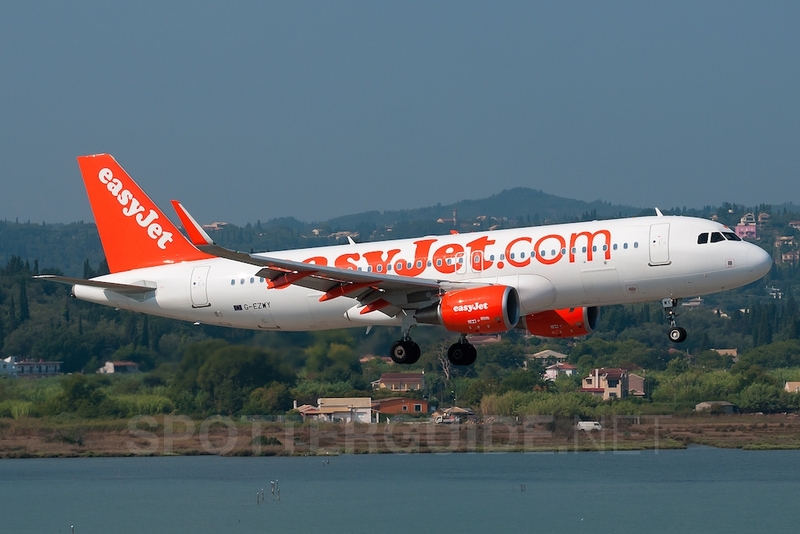 The easyJet A320 on the samples was taken from the pool. WHAT Its almost the same sight like from the Cafe Royal. You see all arrivals and departures on RWY35. Departures from RWY17 are also better here than at any other location as you are on a higher level. MISC. Room prices are between 60 and 80 Euros. It depends on the time of the year. The rooms are small but clean. WIFI and breakfast is included. Just write an email to info@hotelroyal.gr and request one of the rooms mentioned above. The staff is very friendly and they know about our hobby and preferences. FOCAL LENGTH Depends on the angle but 50-200mm is okay. 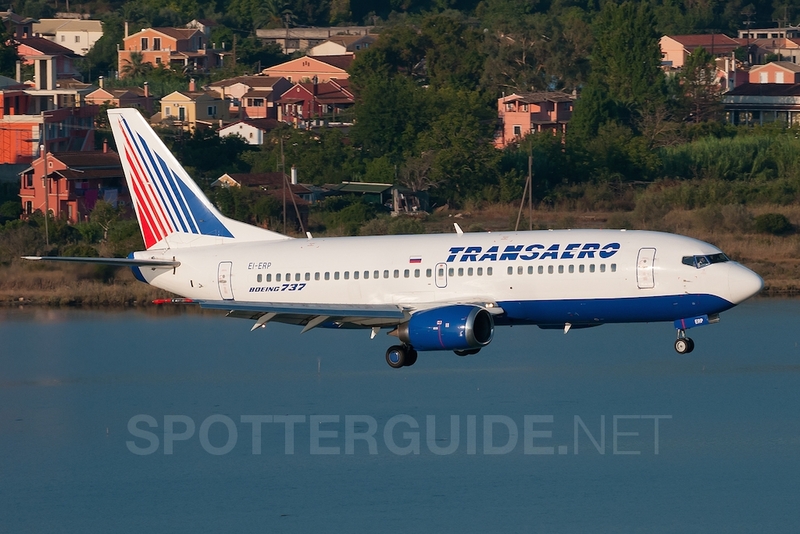 Transaero = 150mm, Air Mediterranee = 160mm, Europe Airpost = 150mm. WHERE One of the most popular spotting locations on this planet, the Café Royal, is located on Kanoni hill and right in the ‘food court’ area which means that there are many restaurants and shops nearby. 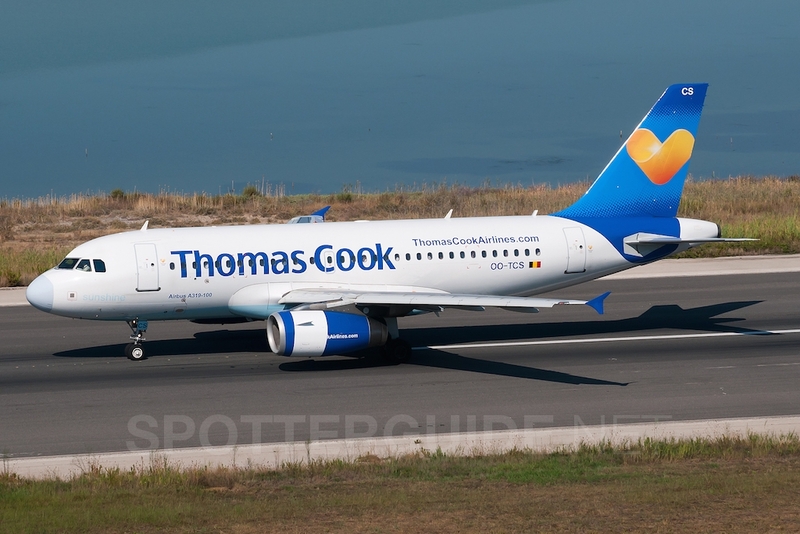 You have an adorable view on Corfu’s single runway. Stairs usher you up to the Cafe when coming from the bridge. The Kanoni Cafe is also a good location but you can see the approaches only and not the runway. WHAT All runway movements of Corfu airport and view onto the airport’s apron in the distance. Some departures from RWY 17 are too high so the angle is not the best. MISC. Food and drinks are available here. Please order something by courtesy. If you are stay at the hotely al you get a 10 percent discount (need to be say to the waiter before you order something). WHERE This spot is not far from the Vlacherna Monastery situated directly on a ledge next to the Cofu Holiday Palace Hotel. To get down from the Kanoni Hill use the stairs that starting at the Cafe Kanoni. WHAT All arrivals into runway 35 as well as departures from runway 17. Please note, that smaller aircrafts departing runway 17 may already be higher at this position. MISC. There are lots of restaurants nearby, the closest is directly in front of you which you have to pass before approaching the spot. WHERE Spot 4 is located directly on the bridge which connects Kanoni with Perama running right under the approach path and not far from the runway’s turning circle. You can choose where you want to photopraph. WHAT If you stand directly underneath the approach path, you’ll be able to photograph aircrafts making a 180 degree turn to take off from RWY35. You can choose the angle by walking down the complete length of the bridge, enabling you to take different subjects. TIME Nearly throughout the day as different angles are possible from here as you can choose where to photograph on the complete length of the bridge. MISC. Food and drinks are available at either ends of the bridge (at Spot 6 or Spot 2/3). The bridge is very narrow, please be careful as also motorcyles use this bridge, sometimes performing dangerous stunts! WHERE Spot 5 is very close to Spot 4! 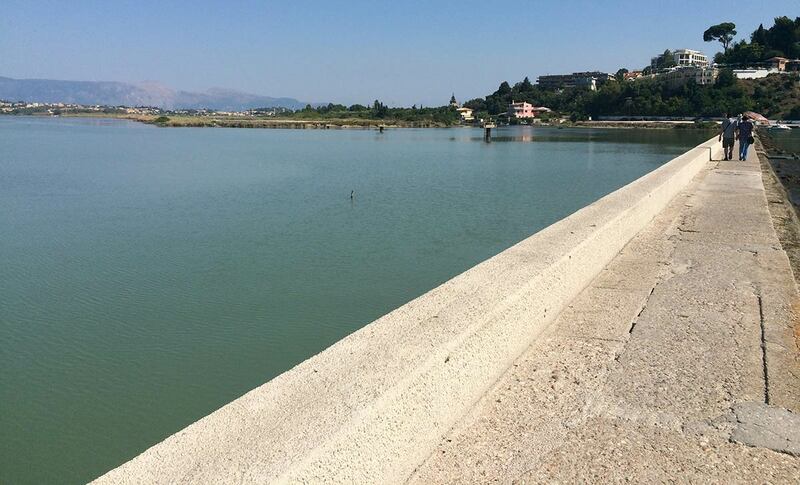 While Spot #4 is located on the bridge, Spot 5 is at the beginning of it, on the Perama side right at the beach on the right hand side of the bridge. When coming from Kanoni hill, simply walk the bridge to its end and you will immediately see the beach on the left side. WHAT Arrivals into runway 35 and lineups. The angle for the arrivals is not the best at the beach. If you have FR24 running you can walk up the path to Nisos Tavern for 1-2 minutes where you have a better position. MISC. You can go swimming here, we can recommend the beach as it is clean and clear water. 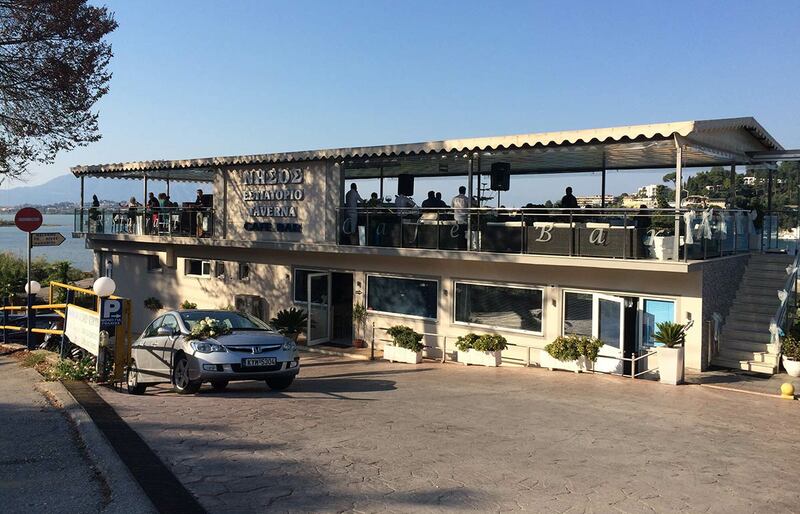 Bring all you need by yourself, next shop or bar is the Tavern Nisos or on the other waterfront. WHERE The tavern is located at the southern starting point of the bridge which runs to Kanoni hill, it is a orange two-storey building located directly at the street. You can´t miss it! WHAT Runway 35 line-ups and landings, as well as heavy runway 17 departures. You do have a view onto the airport’s apron in the distance. MISC. Food and drinks are available here. We can recommend this restaurant. Please order at least a drink by courtesy. WHERE There is a lay-by just over the way of Hotel Aegli which is located on the right hand site of the street when coming from the floating bridge. Directly in front of the hotel is a lay-by on the left hand side from which you have a good view but its possible that the sight is blocked by bushes and trees. Then just go to the café Aegli which is below the parking. WHAT Runway 35 line-ups and landings, you do have a view onto the airport’s apron in the distance. MISC. Restrooms are available over the way in the hotel buidling. WHERE Another good Hotel where you can make pics from your balcony is the Mouse Island Apartment. When coming from the bridge and walking along the main street, pass Spot 6 & 7 and you will arrive at the Mouse Island Apartments after just a few yards. If you don’t have a room here, just place over the way on the parking bay which offers you the same view as from the hotel rooms. WHAT Runway 35 landings, as well as heavy runway 11 departures. MISC. Restrooms are available in the restaurant as well as food and drinks. We can recommend this restaurant. Keep in mind there is less traffic in the afternoon compared to the morning hours if you plan to stay there. 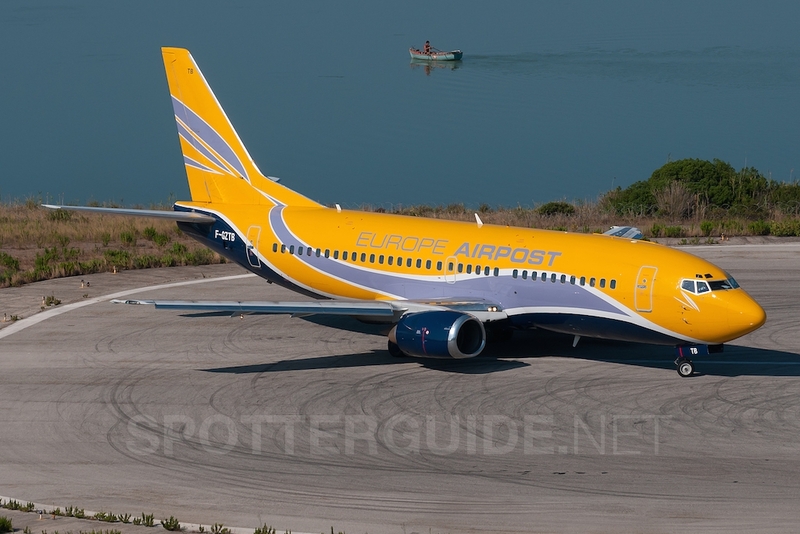 WHERE Spot 9 promts real Saint-Maarten-feeling, you are stunningly close to the runway! Thanks to a road (Ethniki Odos Kerkiras Achiliou) which runs directly next to the runway, you have a quite lovely view onto the airport’s single runway. WHAT Arrivals on runway 35 and 17, line-ups of runway 17 can be photographed from here as well, unfortunately we don’t have a photograph. Runway 17 lineups can only be photographed on cloudy days. TIME For landings on 35 in the afternoon and for 17 arrivals in the mornings. MISC. The road is being closed during a flight arrival on runway 17, you will not be able to pass underneath that time, pedestrians are still allowed to pass however.The fence is lowed at this position. I would not recommend Spot 9! If you take your Camera out, the airport police is there in no time, happend to me last year. Police Officers don’t like Spotters and acted very aggressively and wanted me to delete all the taken photos while he was watching. He also sad that they could arrest me if I would come back. Sounds a bit strange to me as a local spotter. Police only shows up on arrivals and departures to check that nobody drives or walks at the end of the threshold. They always talk to us and never experienced such a problem. Even the military guys from the fire-fighting department are polite with us. Maybe it was just a bad moment mate, or the police officer was new and had no idea of our hobby. Thanks for your feedback Marios. We hope it was just a unique case.